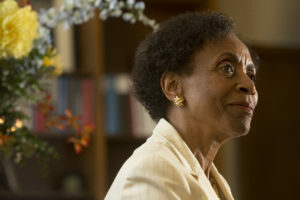 In 2009, a few days after the University of Kansas announced that Bernadette Gray-Little would be its 17th chancellor, a Journal-World reporter made some calls and even traveled personally to the University of North Carolina-Chapel Hill — where Gray-Little had worked more than 30 years, most recently as provost — to ask colleagues what they thought of her. At KU Gray-Little has hardly been famous for talking about herself, either, at least not publicly or without prompting. 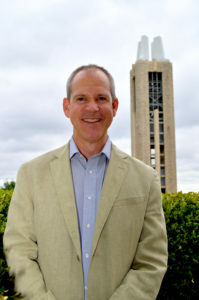 As Gray-Little prepares to step down as KU’s chancellor (Douglas Girod will take over July 1), one thing the university did was create a website collecting all things “BGL,” chancellor.ku.edu/thank-you-bgl. There’s a timeline of her achievements at KU, a tribute video, a photo gallery, a collection of her campus messages and — the part I’m getting to — transcripts of dozens of speeches she’s given, at KU and elsewhere across the country, over the past eight years. 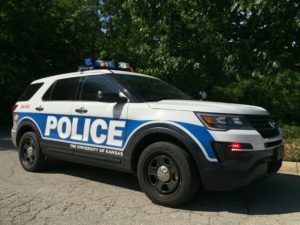 Perhaps the most personally revealing is one the KU community never heard or read about in the Journal-World: an October 2012 speech Gray-Little gave during convocation at her undergraduate alma mater, Marywood University in Scranton, Pa.. In that speech, according to the transcript, Gray-Little talked about being one of eight children in a poor family, sometimes unsure of where the next meal would be coming from. She talked about being a “rambunctious” child, who frequently had to stay after school and clap chalkboard erasers for punishment. She talked about how she came to go to college, then eventually led a university as its chancellor, and what values drove her. least of His children, we do to Him. These are the values of empowerment. excel in all aspects of our lives. For a little more — a little — about what Gray-Little has planned next, here’s a story from Sunday’s Journal-World in which the outgoing chancellor reflects on her time at KU and her next plans.